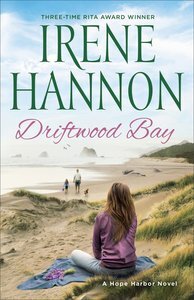 About "Driftwood Bay (Hope Harbor Series)"
:After tragedy robs her of everyone she loves, Jeannette Mason retreats to the tiny Oregon seaside town of Hope Harbor to create a new life. Vowing to avoid emotional attachments, she focuses on running her lavender farm and tea-room--until a new neighbor with a destructive dog and a forlorn little girl invades her turf. But she needn't worry. Dr. Logan West is too busy coping with an unexpected family, a radical lifestyle change, and an unruly pup to have any interest in his aloof and disagreeable neighbor. Newly out of the military, Dr Ben Garrison wants to rid himself of the lighthouse he has inherited as soon as possible. But the editor of the local newspaper, Marci Weber, has other ideas. As sparks fly over the fate of the heritage building, a different fire is kindled between two wary souls.